When I worked in Tech Square, I had coworkers that swore by Gusto. I lived in Gwinnett so I’d never heard of the place. I had to go by their descriptions to try to understand it and it just seemed like a place to eat mushrooms and rice. That… didn’t seem too desirable so I stayed away. Well, my palate has evolved. The very food that didn’t seem to interest me four years ago is my kind of wave now. I told Ed to meet me at Gusto off Ponce over the weekend. It wasn’t far from him and it gave us both a chance to try the restaurant and spend some time together. 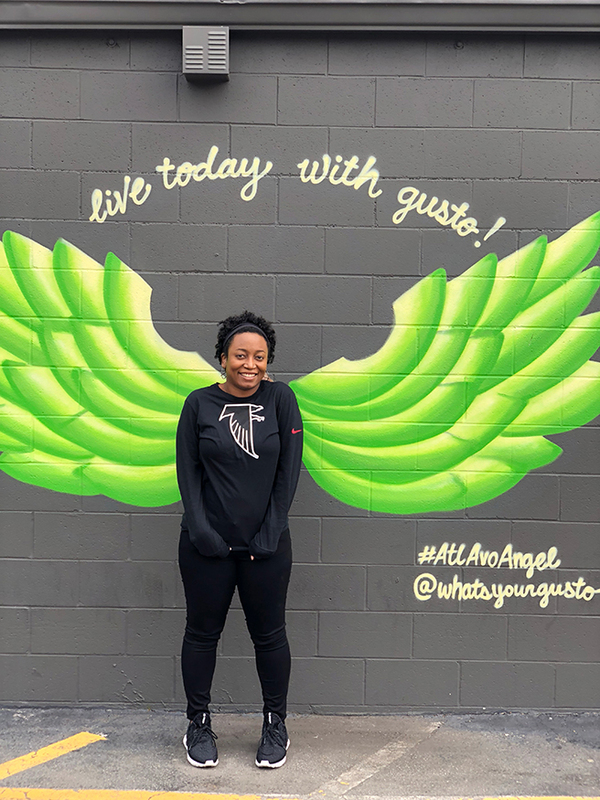 Upon walking into the restaurant, we noticed the avocado angel wing mural that’s on the wall. So, naturally, we decided to take a few pictures there. We went inside and ordered. 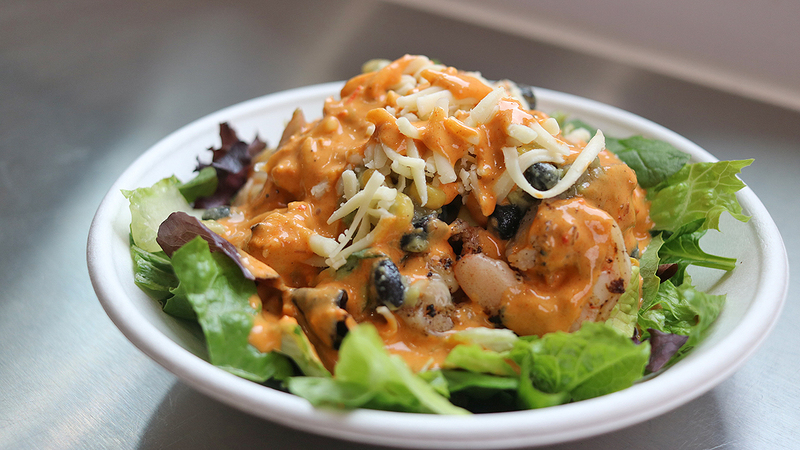 Ed ordered the chipotle mango avocado salad bowl with shrimp. This is one of the more popular bowls Gusto offers. 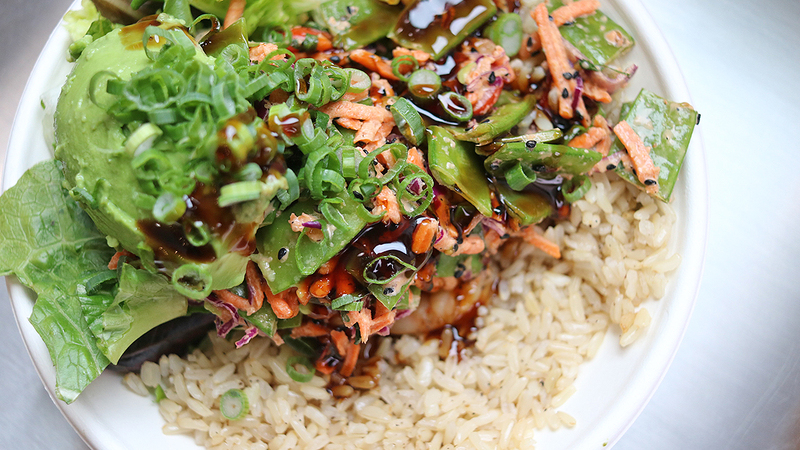 I ordered the sweet soy sriracha shrimp salad and rice bowl. Extra avocados. The flavor was in high definition. The lettuce was crisp and fresh. 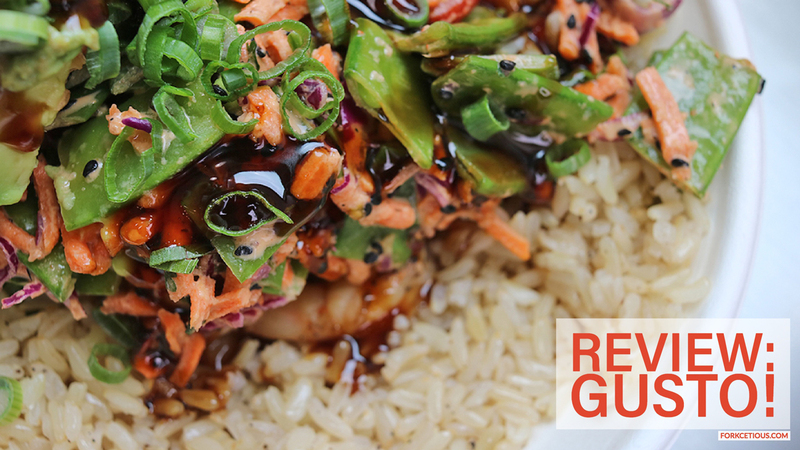 The brown rice made for a great, filling base. The combination of veggies, shrimp and rice created an edible juxtaposition that my mouth didn’t know it craved. Even as I cleaned the bowl, I was satisfied with my choice. This meal didn’t make me feel heavy, bloated, or disgusting afterwards. I didn’t feel like I needed to check my calories before ordering because everything they offer seems to just be good, customizable food for you. Sadly, there aren’t any Gusto locations in my neck of the woods, however, they seem to be expanding within the next two years. This gives me hope that the possibility of consuming these bowls more frequently could potentially be in my future. A girl can dream, right? Disclosure: My meal was compensated in exchange for writing this blog post. All opinions and commentary are mine alone.